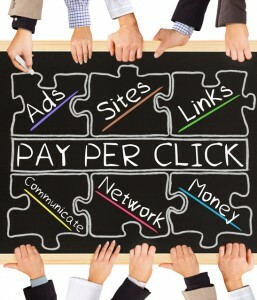 There is no doubt that search engine optimization (SEO) and pay-per-click (PPC) are two different strategies. SEO is directly related to the content—it includes words or key phrases that are repeatedly added into the content to boost its rank in search engines. PPC is connected to the advertisements that drive traffic towards the content and generate leads. SEO generates organic traffic, while PPC brings in potential leads by requiring a certain amount of payment per click each time. Each strategy has certain benefits, but when they complement each other and work as part of an overall strategy, the following benefits can be had. One of the most obvious benefits of SEO and PPC integration is extra exposure on the search engine results pages (SERPs). Once a search term ranks in the top spot, clients are often tempted to lower their PPC advertising efforts, but it is important to remember that the top few results on most SERPs are PPC ads. By dominating the organic and paid search results, you can greatly increase traffic and give browsers the impression that you are an established presence in your particular market. SEO and PPC synergy also provides you with double the data to analyze. Figure out which organic and PPC keywords have the highest conversion rate, and use that to optimize your overall strategy. Traffic and rankings mean nothing if they do not convert into sales, leads, or inquiries. A combined SEO and PPC strategy helps to assist in final conversions because clients can see how well their campaigns are performing individually as well as how they can boost conversions for each other. PPC campaigns can help you test keyword effectiveness right away. This improves your PPC, while also helping your SEO content by finding the right keywords to use. Putting the two together works better than one on its own—once you figure out which keywords are working for you, you can use those for your SEM descriptions, content, and titles. A troubling issue for marketers doing PPC or SEO on their own is that it can be challenging to develop enough statistically reliable data from organic traffic alone. The quality of the organic data obtained may be high enough to be actionable, but if the quantity is insufficient, informed decision cannot be made. It is imperative that each team has both organic and paid data available to them to act in an effective and coordinated way. Using SEO and PPC together can make this happen. Depending on the industry, high-ranking keywords may demand a large price for PPC. In cases like these, it is more affordable to use these expensive keywords for SEO, while using the cheaper ones in your PPC campaign. 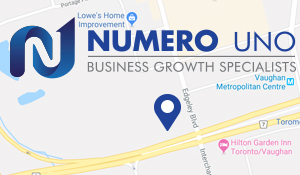 If you want to benefit from the data sharing, conversions, and reliability of using a combined SEO and PPC strategy, Numero Uno Web Solutions can help you. We provide our clients with many marketing solutions such as SEO, content audit services, online reputation management, web designing and development, and more. We are a content marketing agency in Toronto that specializes in helping small- to medium-sized businesses improve their web sites. For years, we have helped clients across the Greater Toronto Area, Texas, Massachusetts, and Florida boost their marketing strategies and grow their businesses. Call us at 1-855-SEO-XPRT to learn more about the services and expertise we provide at our Vaughan location.